Introduction: More and more manufacturers are bringing to market, apparel to protect us from the Sun's harsh rays. It would probably be enough to rely on frequent applications of sunblock alone, but frankly, few of us take the time to break from our favorite past time in consideration of protecting our leathery hides. 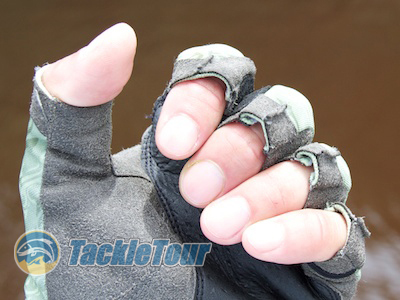 The popularity of UPF rated shirts and pants are on the rise as well as the use of products like Buff's head wear product, but perhaps the most overlooked part of our anatomy that is under constant exposure to the sun while fishing is our hands. Even while applying sunblock, how many of you really apply any to the top of your hand, and if you do, do you then unknowingly wash it off in the water while trying to get the grease and sent off your finger tips so as not to contaminate your lure? It's rather obvious what the best solution to this dilemma is, but finding a good, comfortable pair of gloves that don't get in the way of fishing activities or make your hands too hot is not the simplest task at, um, hand. On our trip to the Amazon last fall, we knew protection from the sun was going to be paramount. We also knew we were going to be far too busy fishing, to concern ourselves with applying sunblock on a regular basis. 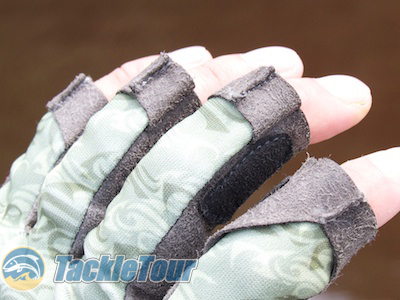 One of the products we brought down with us to protect our precious hands were Buff's Pro Series Angler Glove. 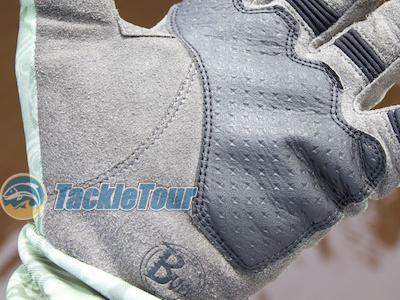 Impressions: Buff's Pro Series Angler Gloves are available in two colors, Fish Camo and Skoolin Sage. They are made from Buff's UPF 50+ breathable fabric that stretches with movement and also wicks moisture away from your skin. The palms of each glove feature a synthetic material akin to leather serving to both protect the palm of your hand from fish fins and also provide a degree of grip. 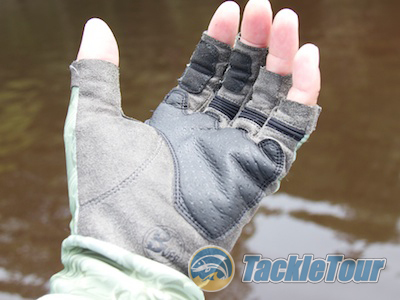 ... but did you know they made gloves specifically for anglers? 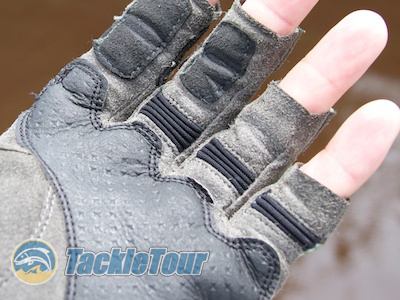 Field Tests: Buff’s Pro Series Angler Gloves were among the UPF protective clothing I brought with me last fall to the Amazon. Before our trip, I actually wore the gloves around the house for a day to make sure they’d be comfortable and not annoying in anyway. They passed the simple home test. 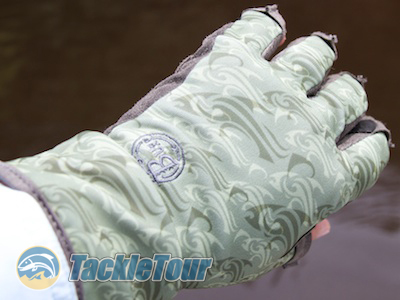 In addition to fishing in the Amazon Zander also used these gloves on our home water in California in both conventional and fly fishing applications. The Buff Pro Series Angler Glove not only provides UPF 50+ protection, but the palms are reinforced with a synthetic leather that's made to withstand wet conditions. Comfort: Fishing gloves are a tricky item. They need to be able and protect you from the sun and a fish’s fins and teeth while at the same time not limiting your dexterity during casting or even tying. 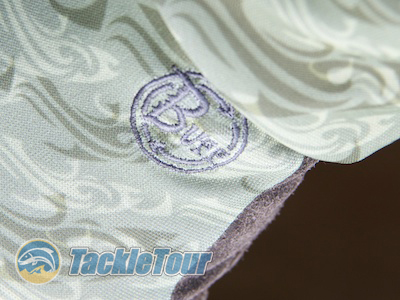 A close look at the Skoolin' Sage color pattern (one of two options). Buff’s Pro Series Angler gloves feature that flexible fabric on the back of your hand that is very comfortable and flexible. Unless your skin is sensitive to tight fitting synthetic materials, comfort should not be a problem here. You almost do not feel the back of the gloves when fitted over your hand. The finger tips are cut off for dexterity. The same cannot be said about the palm material. While there is no discomfort whatsoever with these gloves, because the Diamond Grip palm material is thick and leather-like, you know they’re there. Any of you that used to mountain bike and wear gloves to protect your hands, Buff’s Pro Series Angler Gloves feel very much like a pair of cycling gloves for mountain biking. The gloves are perfectly comfortable to wear while dry, but when they get wet, unless in an environment that allows them to dry off quickly, they can prove to be uncomfortable and hot. This is the case with just about any gloves. The diamond stamped material at the palm is provided to enhance grip. 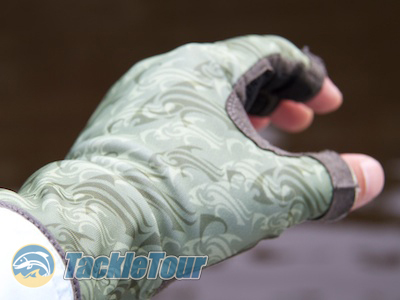 Protection: Thanks to the durable palm material on Buff’s Pro Series Angler Gloves, handling fish can be accomplished with little regard to being stabbed in the palm by a vengeful dorsal fin. While the tips of your fingers are still exposed, the gloves provide a nice compromise between protection and still enabling you to feel stuff with the gloves on. With toothy critters like Peacock Bass, it’d be nice to have full thumb protection so you can lip the fish, but as our guide pointed out, there are other ways to hold a fish that are probably a bit more humane.